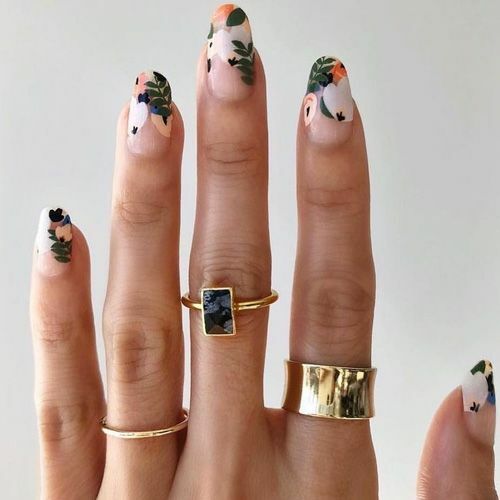 NAIL this Look: Add flowers to your fingertips. The trend you need in your life and on your hands! 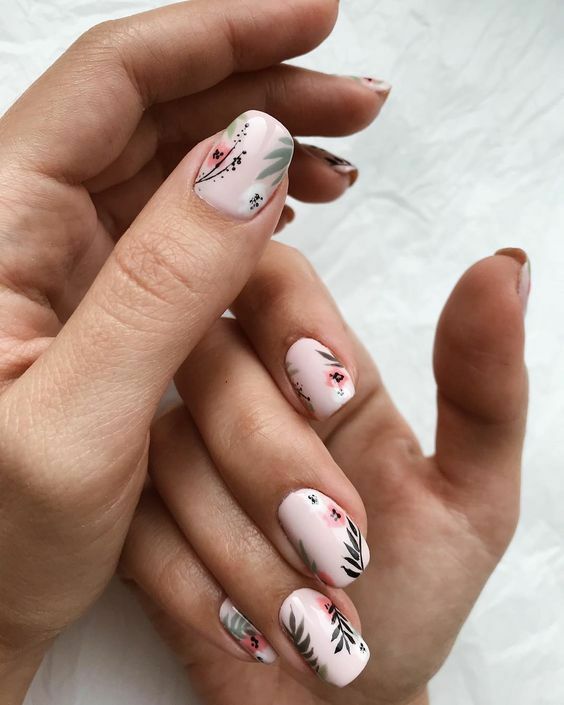 We love scrolling through nail design threads on instagram, clicking and tapping away as we drool over all the crazy and beautiful designs. It’s amazing that these talented artists can create such teeny tiny, detailed masterpieces! Any style, color and type! Using real petals, some heavy setting polish and your very own nails (or acrylics.) 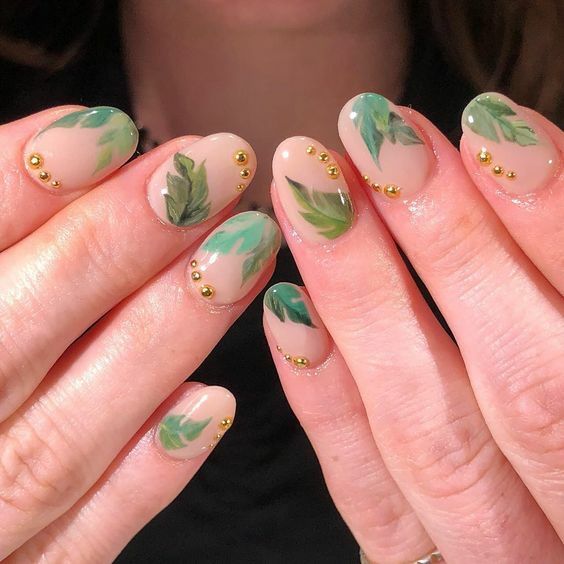 You can use your own favorite petals and greens to make custom nail art! 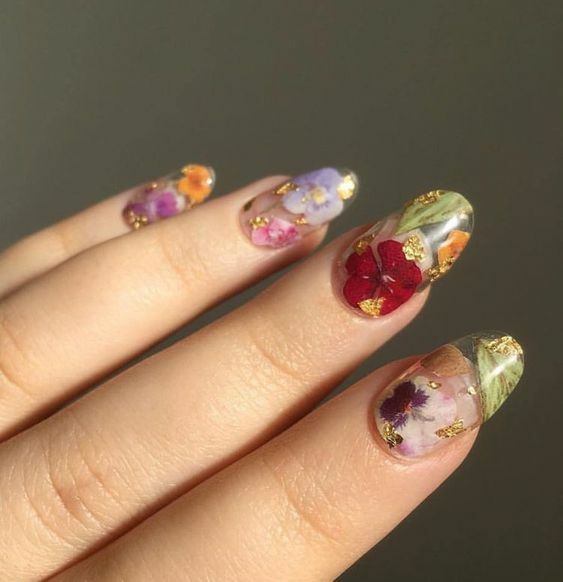 Pressed flower nails you can order online. Thankfully, for the less crafty (or just short on time) you can order from an etsy shop or Instagram store! Inspo and pic by an unknown artist. We’ve linked some of our faves to get your nail fantasies started. 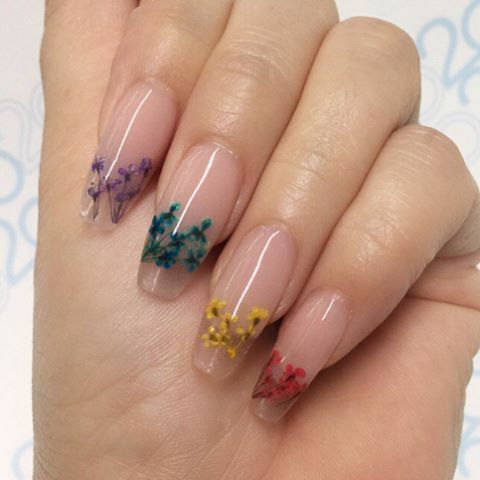 Dried micro flowers on your actual nails! A masterpiece. Reusable real pressed dried flowers with gold flakes! These are “press on” nails! For those that want to purchase a pre-made pair. Inspo and pic by unknown artist. The absolute most perfect “spring is on the way” manicure! 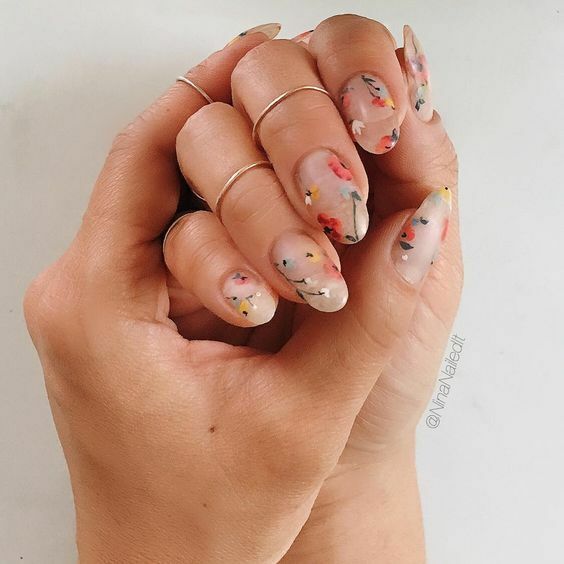 This is a great transitional floral nail inspo. 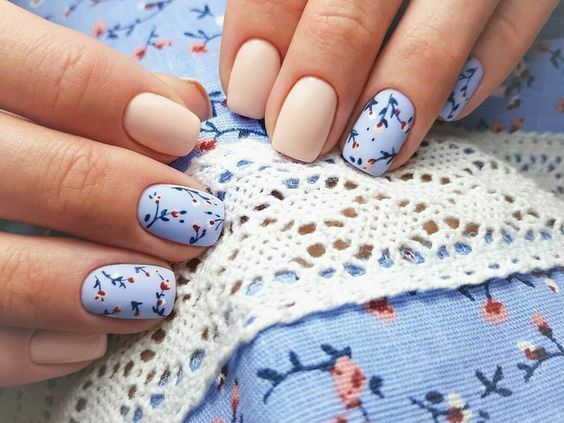 Don’t want to go “all out” with a full floral mani? Try something more subtle with a single-nail design! Drooling over how petite those little buds are. A great way to add some fun spring color. Need some inspiration, or maybe you’re just the sentimental type? Bring a pattern to your mani appointment and ask if they can use it as a guide! Already have detailed manis? Add a pop of flowers into your designs like this one! 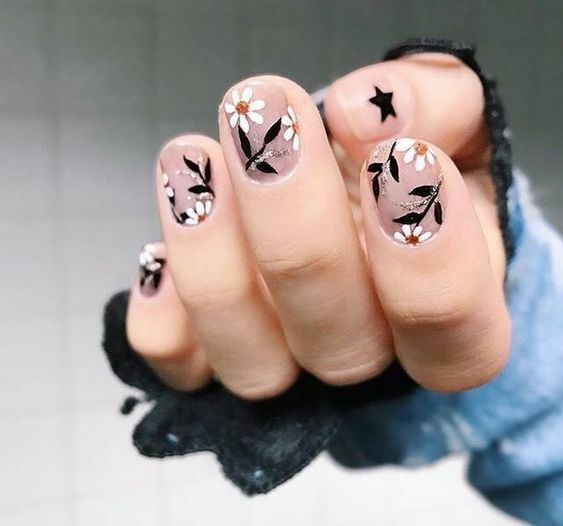 Another adorable take on floral nails with a twist. Tropical-styled nails! Again, with the incredible details! Blue roses! Need we say more?! MIND BLOWN! This customization!! Inspo and pic unknown artist. A favorite of ours, we love the different color for each nail. These are entirely too cute. To wrap it up - coral, greens, white, and a touch or blue! The very best spring or summer mani! Petalfoxes, what do you think?